Some of you may know that I oddly love running. From the actual activity and the “runner’s high” you get during and afterward, it has always been a hobby that I’ve enjoyed for about six years now! I like the fact that in running you are competing against yourself, improving yourself. Even though I’m as slow as a turtle swimming through peanut butter, I still like to go as fast as I can for as long as I can. One of my favorite apps that I use when I run is Runkeeper. I have been using this app for five years! Whether you’re a recreational runner like me, or if you are preparing for a competition, this is the best app that can help you build your speed and track your distance. With this app, I can easily see my improvement over time. While I’m listening to my music (You can connect your Spotify or your personal playlist to the app. ), every five minutes Runkeeper will notify me of my current time, pace per mile, and how far I’ve run (The times and the stats are all customizable to personally fit your best needs as an athlete). This allows me to constantly know whether I need to speed up or slow down so that I don’t burn myself out. There are also challenges within the app that you can sign up for. You can win prizes and set goals for yourself whether it’s distance, getting fit, or to lose weight. That is what is so great about Runkeeper, it meets you where you are and will be your personal coach to help you reach your goals, whatever they may be. Even better, the app is free! It is owned by Asics and partnered with TriggerPoint, Jaybird Audio, TomTom, as well as Runkeeper’s own sports merchandise you can purchase within the app. Runkeeper logs every run that you track within the app so you can physically see your progress over time. Whether it is distance, speed, calories burned, or a number of other data, you have the information at your fingertips. It’s available in the App store for iPhone as well as Android and you can also check your profile online as well. 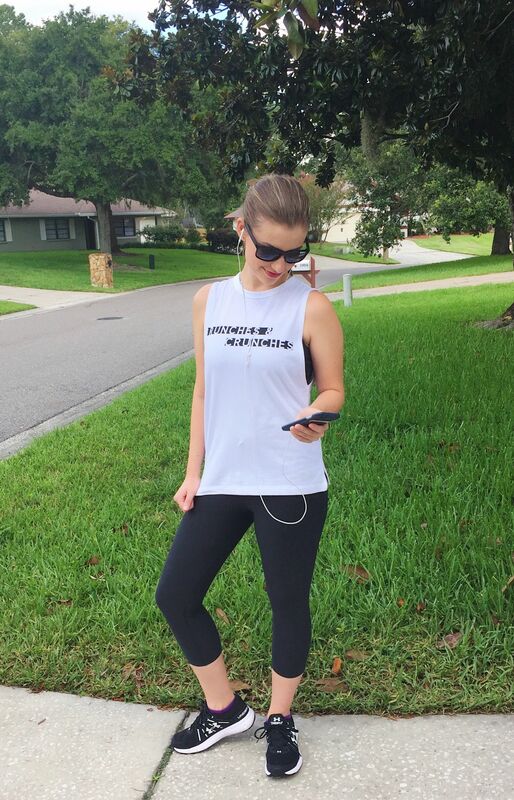 Adding friends on the app can make your runs more invigorating by putting a little more competition into your run. If you’re anything like me, then you will love to keep up with your friends whether you’re running individually or checking their time on the app or computer. Even if you’re not a runner, it has settings for bikers, hikers, walkers, skiing, rowing, and more! This weekend is the Runkeeper Global 5k 4th Edition. By downloading and signing up for this challenge, you can run a 5k (3.1 miles) anywhere in the world and all finishers will be put into a $50 dollar credit drawing for the Runkeeper store. Also, if you are faster than me (which honestly, is not too hard to beat) and are one of the top 5 male or female finishers, you will receive a $100 credit to the store and a one year membership of Runkeeper Go. Go to global5k.com for more details. So, if you’re interested in becoming a better athlete, Runkeeper is definitely the app for you. This is not a sponsored piece I’ve written, I just wanted to share some information about this application and why I enjoy it! All logos are property of Runkeeper.